First step, is to melt the chocolate chips in the microwave. You can do this by placing them in a microwave safe dish and warming in the microwave for 30 seconds. Stir them and continue warming and stirring every 15 seconds until melted. If mixture is too thick, add a tiny bit of olive oil. Now is dipping time. Dip your pretzels into the melted white chocolate. 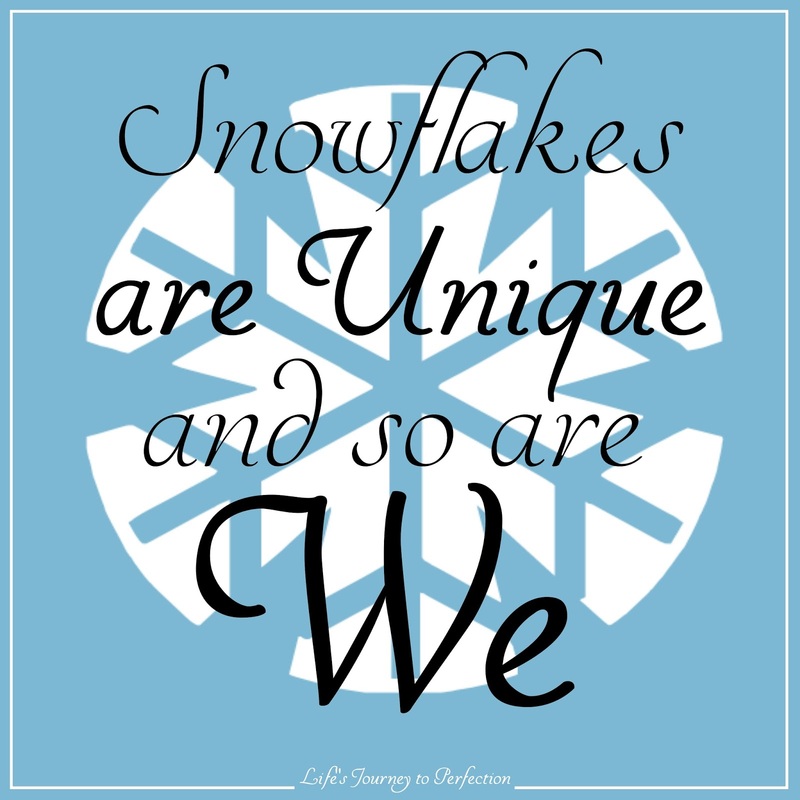 You will use three pretzels for a snowflake. 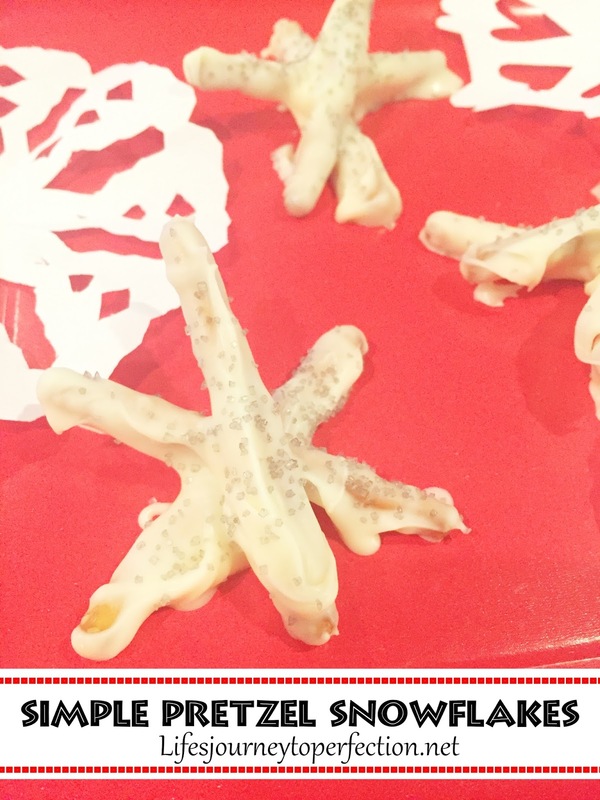 Dip each pretzel individually and stack on top of each other, forming the snowflake. Then sprinkle with the sprinkles to make it sparkle. Melt chocolate same as above. You will use 6 pretzels, this time. Dip the pretzels and lay them out in this design. 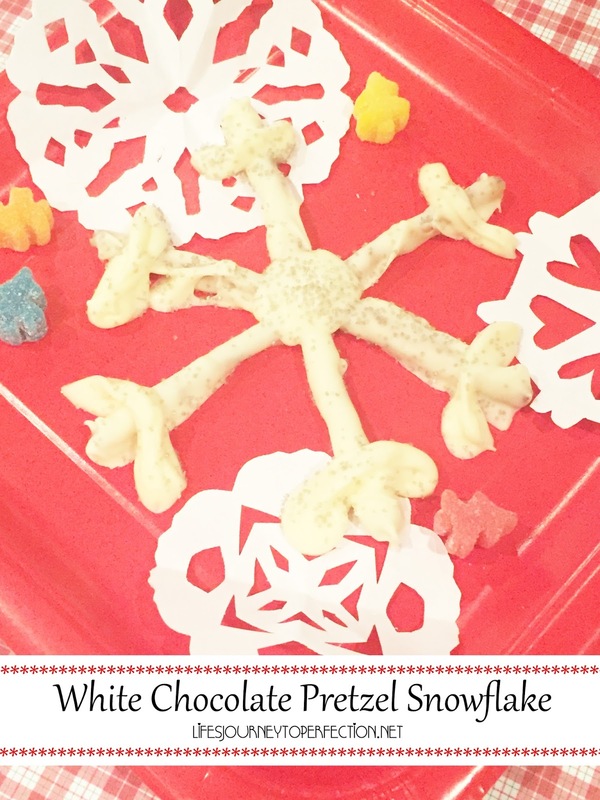 Once all pretzels are dipped and placed in the design, then drop some chocolate in the center to hold the snowflake together. 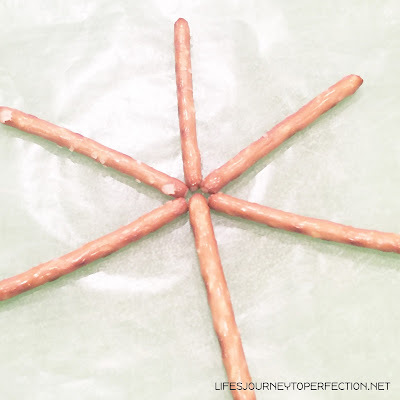 Then add some little details on each pretzel and sprinkle with sprinkles. 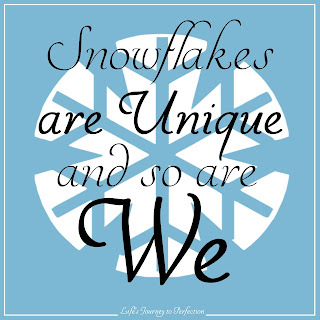 Family Home Evening on How Snowflakes are Unique and So are We.